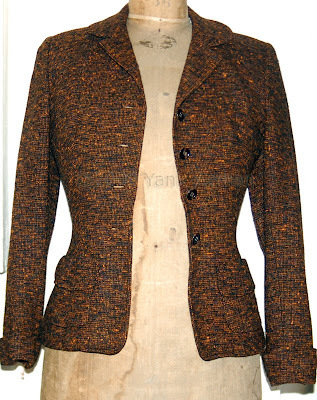 A 1940s, we think, fitted tweed jacket. No label. Picked up this (holiday) weekend just in time for the CAFTCAD show this coming Saturday.